REMAINING 2018 MODEL YEAR BLOWOUT Desirable features of this Taurus SEL FWD includes: Satellite Radio, Leather Seat Trim, Heated Seats, Voice Command Features, a USB Interface, Steering Wheel Audio Controls, Xenon Headlamps, Multi-zone Climate Control, Electronic Stability Control, a Navigation System, Rear Heat / AC, Heated Mirrors, Automatic Climate Control, Power Windows, Rear Parking Aid, Keyless Entry, a Back-Up Camera, HID Headlamps, a GPS System, Dual Power Seats, a Keyless Entry Door Code, Accident Response, Remote Engine Start, Push Button Start, a Electronic Messaging Assistance, an Overhead Console, Traction Control, Android Auto Compatible, Front Wheel Drive, Power Locks, LED Headlights, Brake Assist, a Multi-Information Display, Steering Wheel Controls, a Compass, a Leather Wrapped Steering Wheel, Apple CarPlay Compatible, Power Mirrors, an Adjustable Lumbar Seat(s), a Radar Sensor, an Auxiliary Audio Input, an Anti Theft System, Steering Wheel Cruise Control, a Telescoping Wheel, an Auxiliary Power Outlet, Disc Brakes, a Tire Pressure Monitoring System, Rear Auxiliary Power Outlet, Flexible Fuel Capability, Air Conditioning, a Pass-Through Rear Seat, an AM/FM Stereo, an Auto Transmission with Manual Mode, Anti-Lock Brakes, Bluetooth Connection, a Rear Head Air Bag, Cruise Control, a Gasoline Engine, an Adjustable Steering Wheel, an MP3 Compatible Radio, Dual Air Bags, Digital Instruments, a Sync 3, LED Tail Lights, Bucket Seats, an Outside Temperature Gauge, Illuminated Vanity Mirrors, an Auto Headlamp, a Front Head Air Bag, a Passenger Air Bag Sensor, a Front Side Air Bags, a Single-Disc CD Player, Child Proof Locks, Intermittent Wipers, a Center Console, Adjustable Head Rests, an Auto Dimming R/V Mirror, an Emergency Trunk Release, a Tachometer, a Center Arm Rest, a Trip Computer, Remote Trunk Release, a Rear Window Defroster, a Trip Odometer, a Digital Clock, a Spare Tire (Small Size), a Tilt Steering Wheel, a Beverage Holder(s), Power Steering, a Reading Light(s), an Inside Hood Release, a Split Folding Rear Seat, and Floor Mats. Take a look at this 2018 Ford Taurus SEL FWD, Stock# JG137928 which features a Ingot Silver Metallic exterior with a Charcoal Black Leather interior. Equipped with an impressive 3.5l v6 tivct engine engine, and a automatic transmission with front wheel drive. This 2018 Ford Taurus SEL FWD also comes equipped with: Remote Trunk Release, a Spare Tire (Small Size), Power Steering, an Inside Hood Release, a Rear Window Defroster, a Center Arm Rest, a Tachometer, a Digital Clock, a Split Folding Rear Seat, a Tilt Steering Wheel, a Beverage Holder(s), a Trip Computer, a Reading Light(s), an Emergency Trunk Release, a Trip Odometer, and Floor Mats along with a Passenger Air Bag Sensor, Adjustable Head Rests, an Auto Dimming R/V Mirror, a Center Console, a Front Head Air Bag, a Single-Disc CD Player, an Auto Headlamp, Intermittent Wipers, a Front Side Air Bags, and Child Proof Locks. Contact Eby Ford today at (574) 534-3673 to schedule your test drive of this 2018 Ford Taurus SEL FWD! 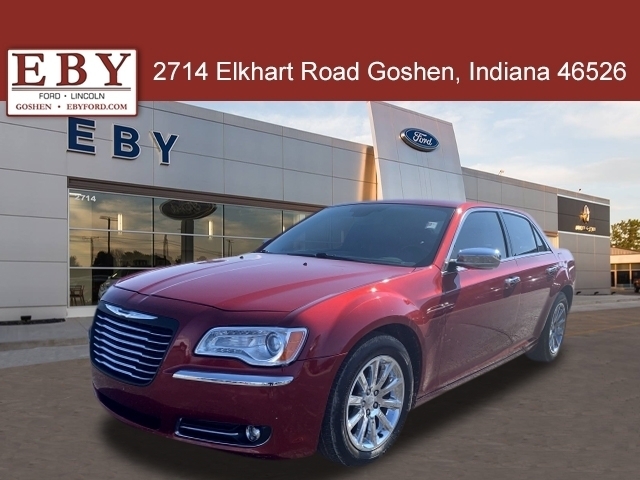 Or stop in and visit us at 2714 Elkhart Road Goshen IN, 46526 to see it in person! Apple CarPlay Compatible, Android Auto Compatible, and Rear Auxiliary Power Outlet.